You are poor because you have no ambition. 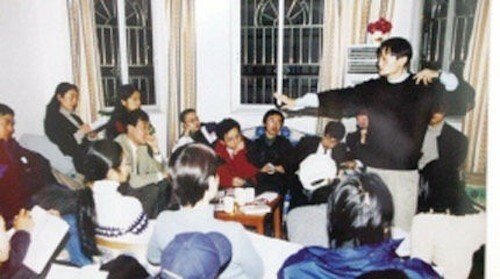 Jack Ma: Before I founded Alibaba, I invited 24 friends to my house to discuss the business opportunity. After discussing for a full two hours, they were still confused — I have to say that I may not have put myself across in a clear manner manner then. The verdict: 23 out of the 24 people in the room told me to drop the idea, for a multitude of reasons, such as: ‘you do not know anything about the internet, and more prominently, you do not have the start-up capital for this’ etc etc. There was only one friend (who was working in a bank then) who told me, “If you want to do it, just try it. If things don’t work out the way you expected it to, you can always revert back to what you were doing before.” I pondered upon this for one night, and by the next morning, I decided I would do it anyway, even if all of the 24 people opposed the idea. 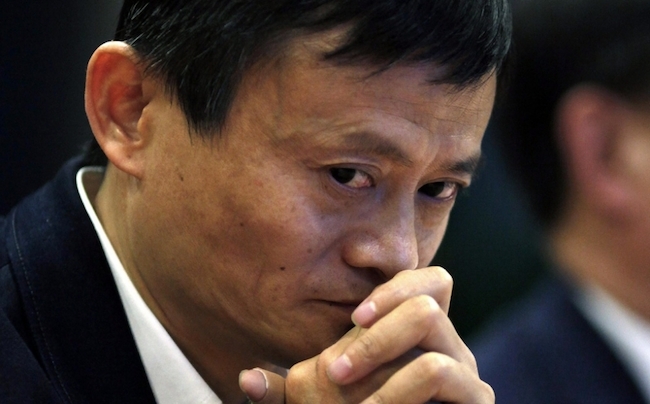 When I first started Alibaba, I was immediately met with strong opposition from family and friends. Looking back, I realized that the biggest driving force for me then was not my confidence in the Internet and the potential it held, but more of this: “No matter what one does, regardless of failure or success, the experience is a form of success in itself.” You have got to keep trying, and if it doesn’t work, you always can revert back to what you were doing before. You are poor, because you have no ambition. Ambition is living a life of great ideals; a magnificent goal in life that must be realized. In this world, there are things that are deemed unfathomable, but there is nothing in this world that cannot be done. The depth of one’s ambition determines the potential of one’ future. The Story of Juliet Wu Shihong – one of China’s first-generation professional managers, who gained success by working her way up the ranks from a cleaner, a nurse, a marketing executive, through self-education and learning on the job. She had been the general manager for the world’s most famous multinational IT groups’ Chinese branches (Microsoft 1985-1998; IBM 1998-1999). She is also China’s first successful international corporate executive to join the executive team of a domestic private firm. Wu was seen as a symbol of the new generation of business executives that China has produced in its economic reform and opening-up. When Wu started off in a big company working from the lowest ranks, her daily job was to pour tea and sweep floors. Once, because she forgot her staff pass, the company’s guard stopped her at the door and denied her entry. She explained to the guard that she was indeed one of the company’s employees, and that she had merely left the building for a short while to purchase office supplies. Despite her pleas, the guard still did not allow to enter. As she stood at the gate, she watched as those of similar age to her, but smartly dressed in business attire walking through without having to show their passes. She asked the guard, “Why are these people allowed through without producing a pass?” The guard dismissed her coldly nonetheless. That was the turning point for Wu – she felt great shame, her self-esteem trampled on. She looked at herself, dressed in shabby clothes and pushing a dirty push cart. Looking back at those dressed in smart attire, her heart felt a deep ache from the sudden realization of the sorrow and grief from being discriminated. From that moment, she vowed never to allow herself to be shamed like this again, and to become world-famous. Since then, she used every opportunity to enrich herself. Every day, she was the first to arrive at work, and the last one to leave. She made every second count, spending her time learning the ropes. Her efforts soon paid off; she was made a sales representative, and quickly progressed to being the regional general manager of this multinational company in China. Wu did not possess strong academic qualifications, and was revered as the ‘Queen of Part-timers’. 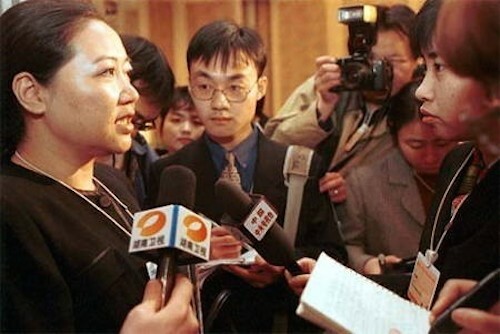 Subsequently, she assumed the position of GM of IBM China. 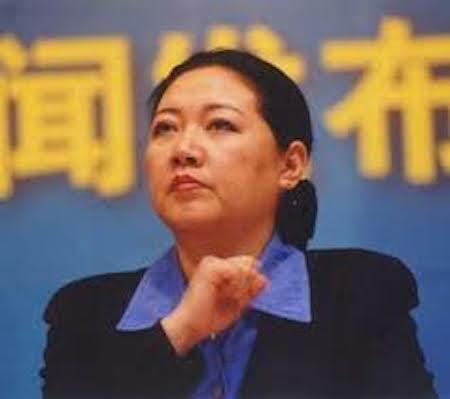 This is the Wu Shihong, the heroine in China’s business circle. If not for the incident, Wu Shihong would not have had the ambition to become rich, and her life would have taken a very different path then. You are poor because you do not have the desire to become successful. You are poor because you lack foresight. You are poor because you cannot overcome your cowardice. You are poor because you lack the courage and determination. With ambition you can overcome all inferiority and maximize your potential! With ambition you can persevere, continuously learn new things and strive for perfection. With ambition you can defy all odds, and create miracles when others daren’t. No matter how poor your family is, do not doubt your own abilities and lose sight of your ambition. When your family deems you worthless, no one will pity you. When your parents do not have money to pay the medical bills, no one will pity you. When you are beaten by your competitors, no one will pity you. When your loved ones abandon you, no one will pity you. When you have not accomplished anything by the time you are 35, no one will pity you. Go big, or go home. Otherwise, you’re wasting your youth. This entry was posted on September 24, 2014, 7:51 PM and is filed under Experience Sharing, Lessons. You can follow any responses to this entry through RSS 2.0. You can leave a response, or trackback from your own site.